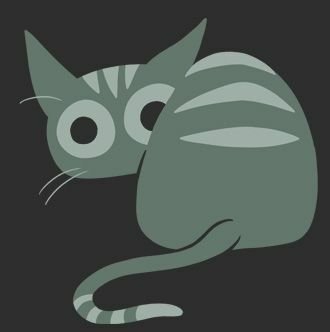 Camp Weedonwantcha by Katie Rice — New apparel for PAX East! New apparel for PAX East! PAX East is upon us, so we’ve been busy making a bunch of new merchandise to sell there. Along with new Camp W prints and the pin I posted about earlier, there’s now also a new shirt and hoodie! 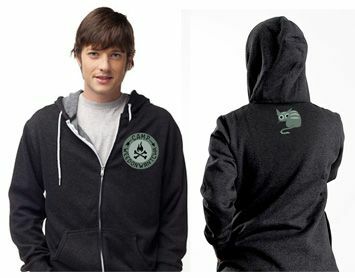 Here’s a mock up of the hoodie, which features the Camp W logo on the front and has a hidden cat that can only be seen when you’ve got the hood up. 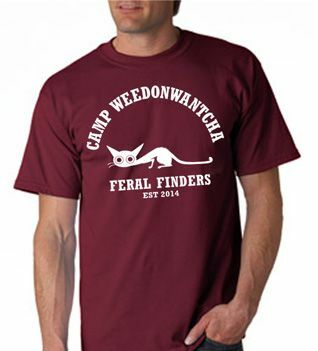 Also cat-themed is the new camp W shirt. Hope to see everyone there at PAX East!